I know, a concert is all about the music. No music, no concert. But as a photographer, I often find that I am more drawn to what goes on behind the scenes. Near the stage at last night's concert by the Third Marine Aircraft Wing Band, several military vehicles were on display. This jeep with its mounted weapon (don't ask me what kind!) was like a magnet for all the young boys in the vicinity. A different kind of magnetic appeal was going on near the jeeps. What could be more appealing than a man in uniform? How about a princess? 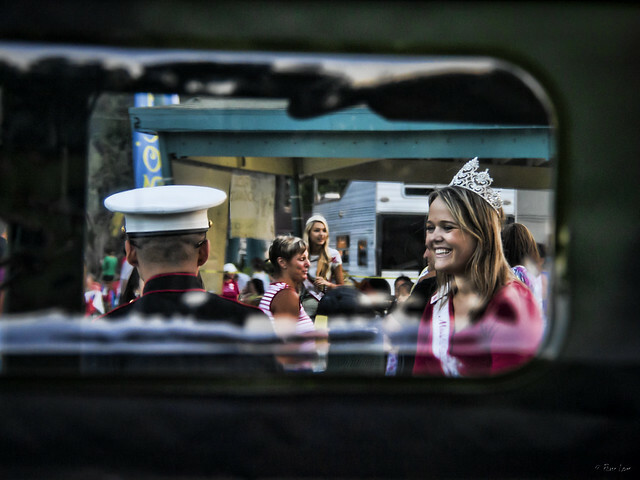 (Past and present Miss Downey participants are on hand every week helping to fundraise for the Downey Rose Parade float.) These two were sharing a mutually enjoyable moment. And last, I was drawn to this backstage display. 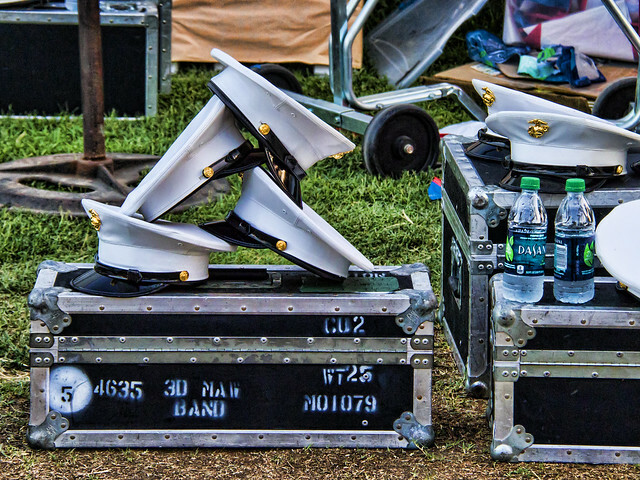 Of course the band members wore their caps. And of course, they must remove them while playing. And artfully stack them amid their trunks and water bottles. 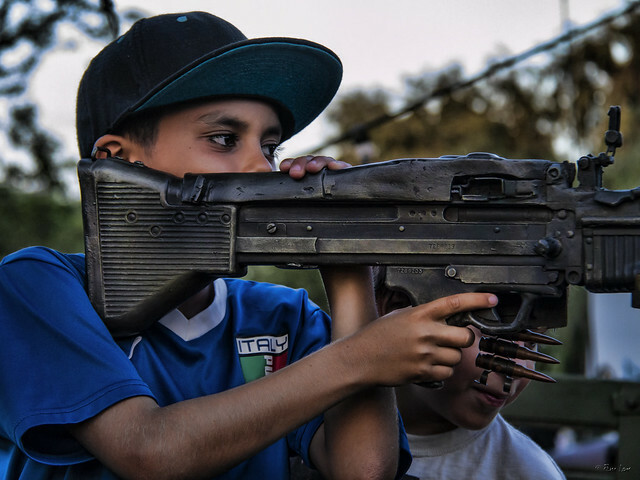 Looks like an M-60 Machine gun, from the 'olden' days.